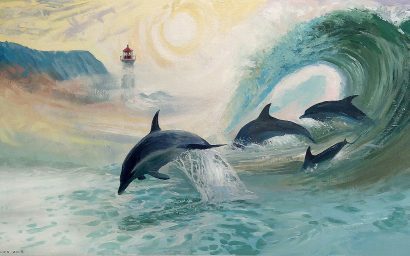 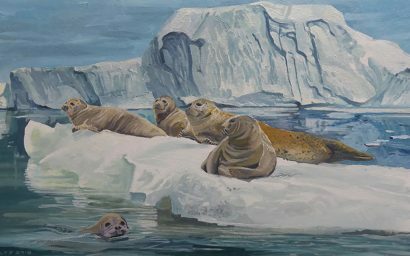 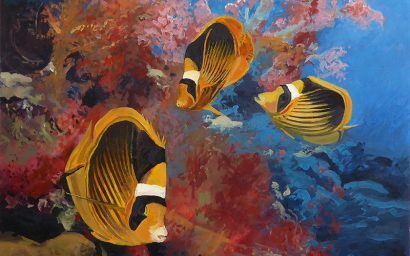 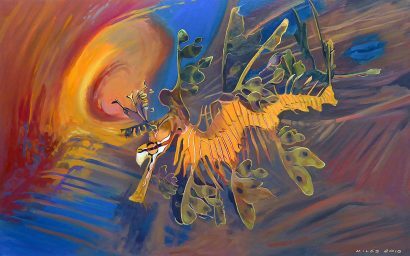 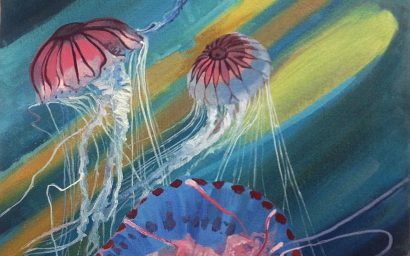 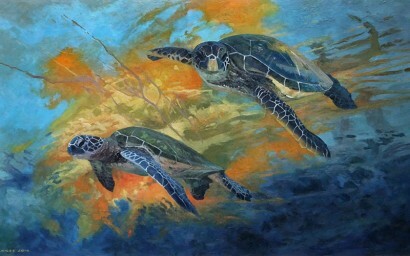 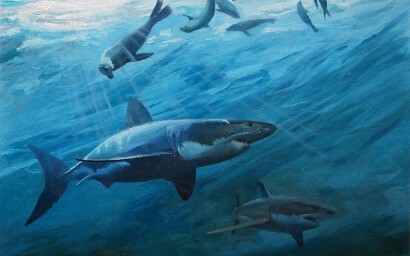 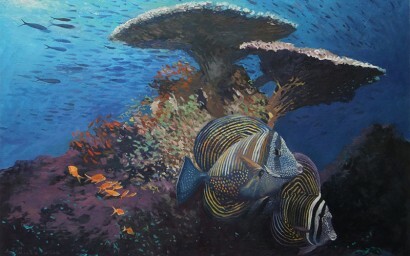 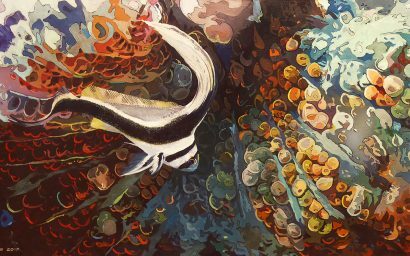 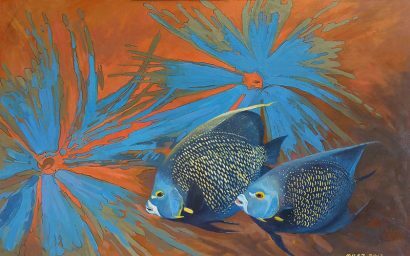 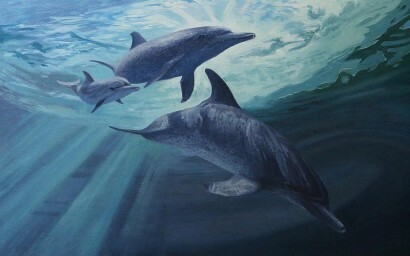 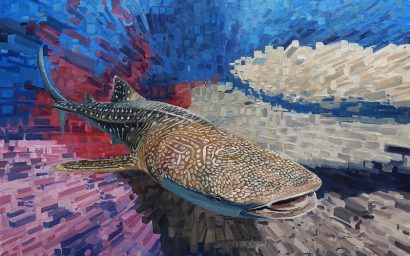 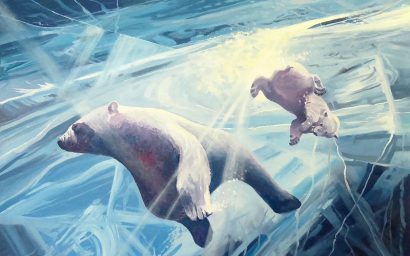 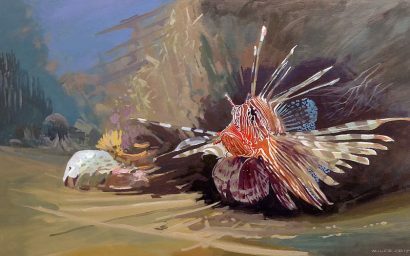 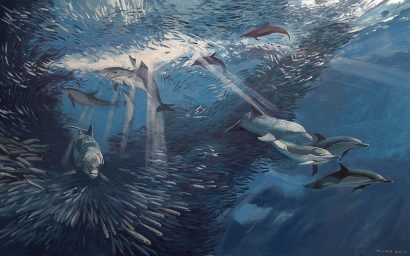 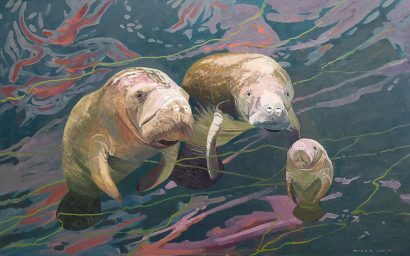 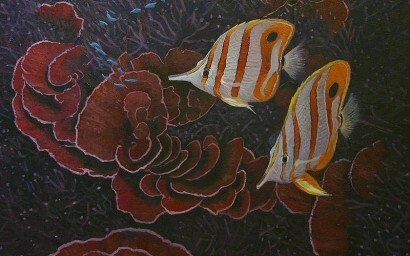 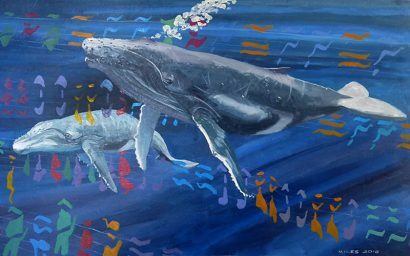 A collection of underwater paintings in oils and acrylics of fishes, mammals, crustaceans and other sea creatures that inhabit the coral reefs, tropical seas and open oceans of the planet. 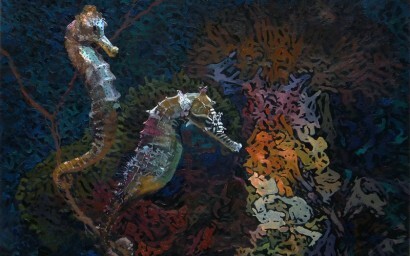 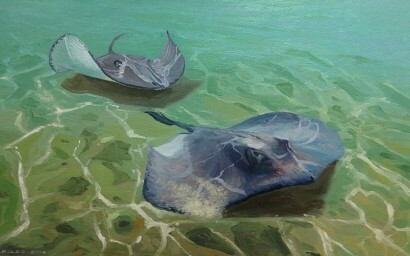 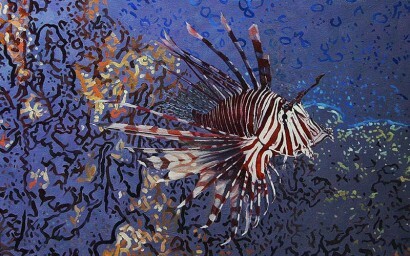 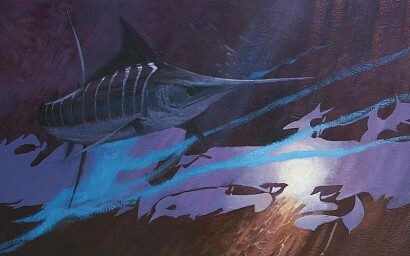 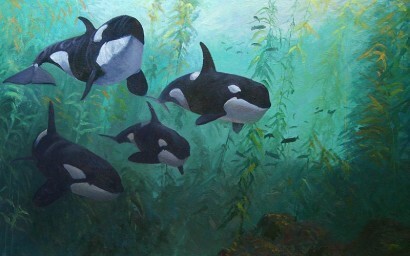 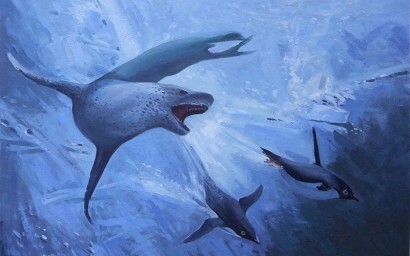 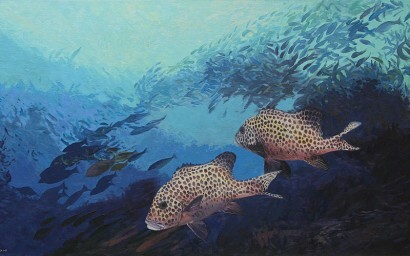 This subaquatic world lends itself to both realistic and abstract painting composition. 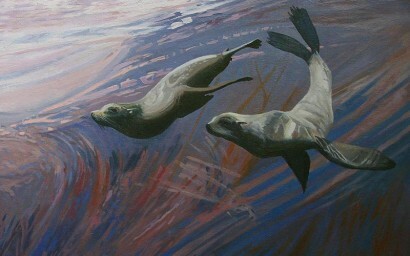 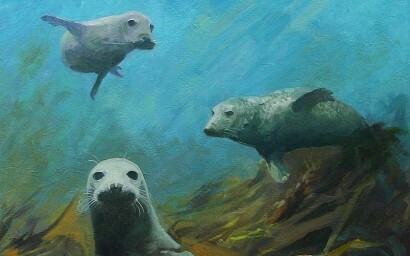 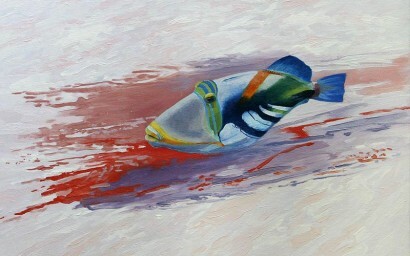 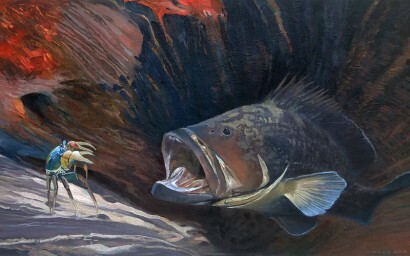 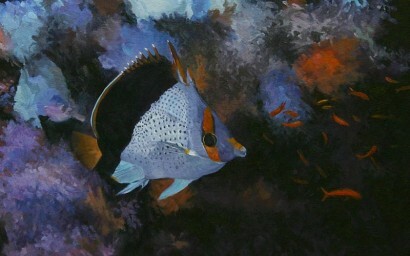 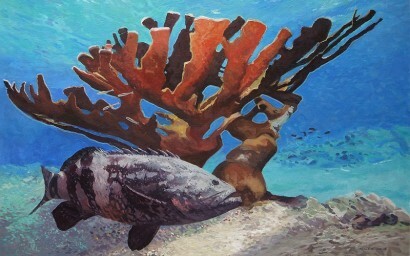 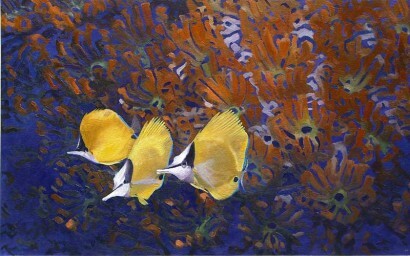 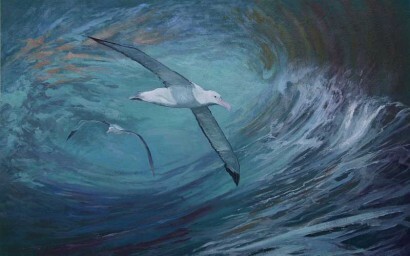 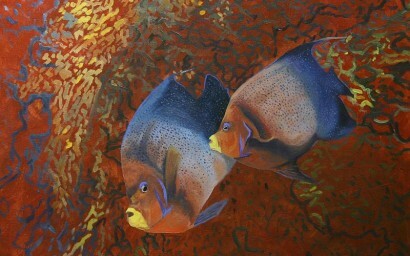 Painting underwater subjects provides a unique freedom in expression of form and colour.